For 5 years of teaching, I had the joy of having a rabbit in my classroom! I purchased Leonard the Rabbit for the soul purpose of being a classroom pet, and through the generosity of others, was able to upkeep all of his needs throughout the years. Why classroom pets you ask? Having Leonard was such a gift to my special education classroom! Not only were my students motivated by spending time with Leonard, they were able to learn tangible skills and practice empathy through his presence on a daily basis. How? Every week, a student was assigned the Leonard Helper which gave them some core duties: refresh his water bottle each morning, refresh his hay, give him a scoop of pellets, bring fruits and veggies back from the cafeteria for his afternoon snack, and clean his litter box 2x/week. This was easily the most complex and needed job in our classroom, so it was such a coveted job to get! No matter the prompting needs or levels of independence of the student, every child in my class would rotate into this job throughout our job rotations, unless they personally opted out. In our classroom, loud volume and unsafe environmental factors were frequently occurring, which often makes people wonder how I kept Leonard safe for so many years. I strategically placed Leonard's cage on a table in the back corner of the classroom. This made him out of the way, which was essential for behavior concerns as well as the fact that he can be distracting when eating or thumping around in his cage :) This location made it highly unlikely that it he would be unsafe. Additionally, if there was a classroom wide behavior that was affecting us, I would put Leonard in his travel carrier and move him to the principals office. We had an understanding that this would be the best for Leonard, and allow students to see how some behaviors affect even our classroom pet. This was previously addressed with my class, noting that he would not be able to stay in the classroom if it was unsafe or too loud for him, but that we'll try again tomorrow and he can return to the classroom then. On days when students were safe (no classroom wide unsafe situations), Leonard would be let out of his cage at the end of the day and would hop around on the rug. This was a HUGE motivator for the kids and easily their favorite part of most days. I funded most of Leonard's supplies (litter, food, hay, toys, cage, water bottle, litter box, etc.) from the grant Pets in the Classroom and through projects from Donors Choose. Leonard stayed in the classroom every night and over the weekends by himself, which was never an issue. On longer weekends or breaks, I would pop in and check on him if I was in town, Leonard would either come home with me, or lovely colleagues or volunteers would care for Leonard. It takes a village! Why a rabbit? I wanted my students to really experience responsibility and caring for someone/something tangibly, so I looked for a pet that would allow for this, as well as a therapeutic experience. Many of my students would pet Leonard while anxious, read to him, and use him to ease their big emotions. I don't believe this would be the same experience with every pet. If you're not ready for a rabbit or can't have one because of fur, don't fret! 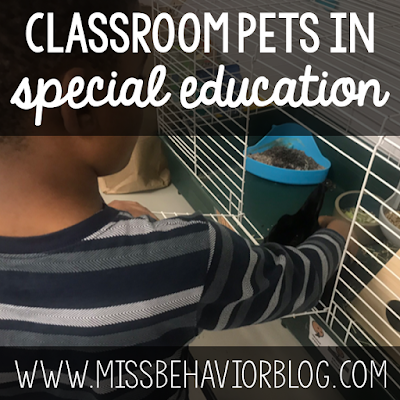 Fish, frogs, iguanas, lizards, guinea pigs, (and so much more) are REALLY fun to have in the classroom and can be awesome experiences for kids, too! 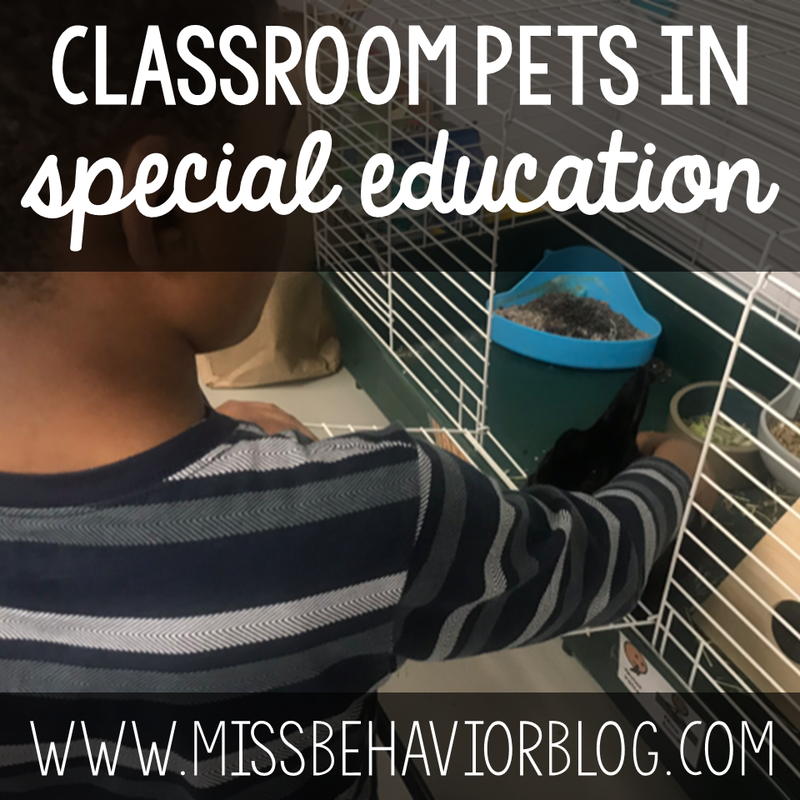 Do you have a classroom pet? Comment below and tell us about it!